It is quite understandable when a lot of people are still quite doubtful about the benefits of blackstrap molasses because it is not very enticing to look at. Because of its dark color and viciously thick appearance, one cannot simply tell that it is actually very good for overall health. Blackstrap molasses is very much dense in variety of nutritional properties that are beneficial to the body. A lot of people are already using blackstrap molasses not only as sweetener but also add more flavor to baked goods. 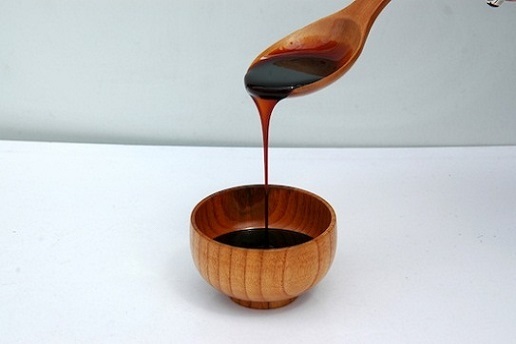 A type of molasses or thick, dark syrup, blackstrap molasses is considered to be the thickest kind of dark syrup that is available for consumption. The same with every other molasses that we know of, blackstrap molasses also comes from sugar cane and sugar beets that have been boiled over to create syrup. This boiling process is included in the main production of refined sugar or table sugar. Once the sugar crystals are collected when the boiled syrup has cooled down, the molasses that remains as residue will then be boiled over again for three times in order to qualify as blackstrap. The whole process of making this kind of molasses may take a bit more effort than the production of regular molasses and even though it needs more cooking time, it does not take away any nutrient and benefit that comes with it. People can still enjoy the rich flavour of blackstrap molasses while gaining its benefits. Blackstrap molasses cannot be achieved with only a single boiling session. When only a single boiling session is done, a different kind of molasses will be achieved. 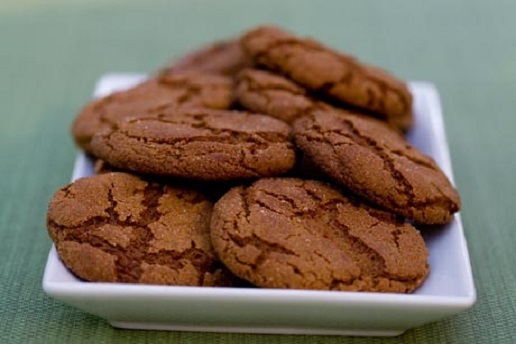 This is often tagged as “light” molasses because of its lighter appearance in colour, but not in taste and caloric value. It is usually the type that is the sweetest, as it has the highest sugar content than any other type of molasses out there. Because of this, it tends to spoil rather quickly as compared to blackstrap, which more often than not needs to have chemical preservatives in order to increase its shelf life. Molasses that has been stopped after the second boiling, however, produces a slightly darker colour than the “light” one but produces a more intense flavour. These can often be seen sold in the market being tagged as ‘full flavour” or “traditional” and though it has lesser sugar content than that of the “light” one, it still offers more sugar than blackstrap. Blackstrap molasses on the other hand has a bittersweet flavor as it has the lowest sugar content among all the molasses. And because the syrup that it comes from is boiled over for three times, it becomes more concentrated and the original nutrients from the sugar cane and sugar beets become more prominent. In addition, some people refer to blackstrap molasses as “unsulphured” as it does not contain chemical sulphur preservatives, therefore making this kind of molasses all the more organic and natural. What blackstrap molasses lacks in sweetness makes up for its richness in natural minerals and nutrients that are really good for one’s overall wellness. Before judging blackstrap molasses by its appearance, it is important to first get to know the different kinds of benefits that this powerhouse molasses can provide. Those who are being vigilant about their sugar intake may find it beneficial to substitute the use of refined sugar with blackstrap molasses. This is because blackstrap contains low glycemic index, which means that this does not increase the production of insulin and the blood sugar remains stabilized. It does not cause the metabolic rate in our bodies to slow down and it also does not give the feeling of being tired, sleepy or lethargic after its consumption. Having said this, blackstrap molasses proves to be a great aid in preventing diabetes. 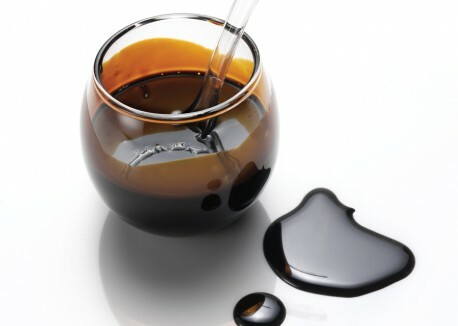 Blackstrap molasses is also known for being rich in iron and with its regular consumption, the risks for acquiring anemia becomes significantly low as iron is predominantly known to inhibit the production of red blood cell. Blackstrap is also rich in folate. This mineral when synergized with iron provides a significant production in red blood cells. Magnesium and calcium can also be found in blackstrap molasses. These two minerals are great in working together to promote good bone health as well as provide strength. These are also known to improve the function of our nervous system as well as prevent heart conditions. When a body is deficient with potassium, its muscles become weak and this can further lead to arthritis. Also, lack in potassium may result to poor heart health and unstable nervous system. These conditions may all be prevented through regular intake of blackstrap molasses because this syrup is filled with potassium. Blackstrap molasses has a high content of manganese. This trace mineral is essential in working with a number of enzymes in the body and works efficiently against abnormal free radicals. Manganese also promotes cellular absorption of nutrients which is beneficial to one’s holistic health. These two minerals may seem underrated most of the time but these actually carry potent effects against prostate problems and superoxides. Both can be found in blackstrap molasses. Because of its soulful and distinct flavour, a lot of people are aware of the benefits. Bakers find the bittersweet taste of blackstrap as complimentary to sweet dishes such as cookies, breads, gingerbreads, fruit cake and other baked goods. They find that it adds better texture and bite to every finished product, and it also provides a smoked flavour that can tend to be irresistible. The good thing about using blackstrap molasses to baked goodies is, although it is often used in addition to regular refined sugar, that it can provide great flavour and texture without giving the person the guilty feeling of eating desserts with empty calories. For non-bakers, blackstrap molasses still proves to be valuable, as they can use this kind of molasses as a sweetener and in replacement of refined sugar or artificial sweeteners. Artificial sweeteners still contain chemicals that may be harmful to some people and refined sugar has high caloric value. Blackstrap, on the other hand, can provide the sweetness to oatmeal, hot cereals, and may even be drizzled over one’s favourite dessert such as ice cream or pastries without the high caloric and sugar content.